HORMEL BLACK LABEL Bacon is naturally wood smoked giving this bacon great flavor for superior customer satisfaction. The fresh pack packaging ensures out of the smokehouse flavor eliminating flavor loss. Use as a center of the plate breakfast meat or as flavorful addition to sandwiches, salads, potatoes, soups, and entrees. Can also be used to wrap around steaks, chops, shrimp, and scallops. 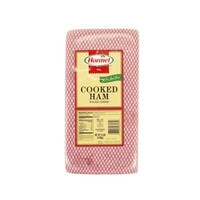 HORMEL BLACK LABEL Bacon can be prepared in the oven or on the grill. *GRILL- 375 degrees for 3-5 minutes on each side. *OVEN- 375 degrees for 10-15 minutes or until golden brown.